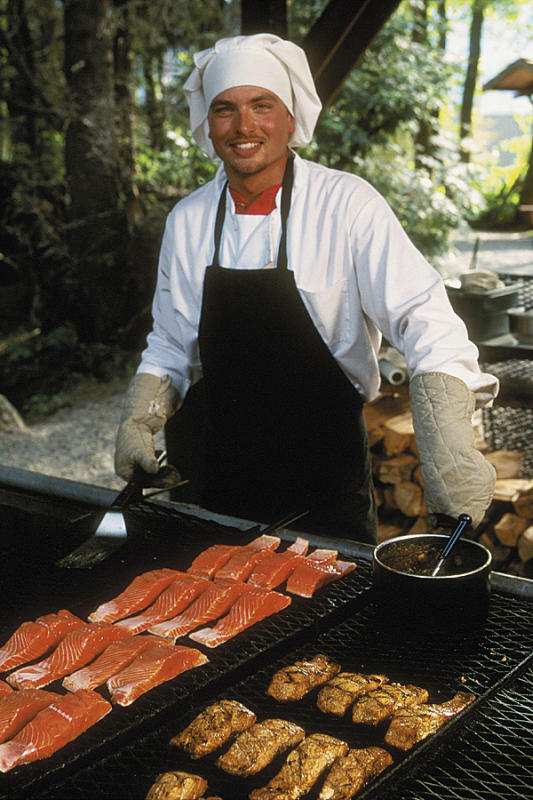 The Gold Creek Salmon Bake is an event that’s been grilled to perfection for more than 30 years. 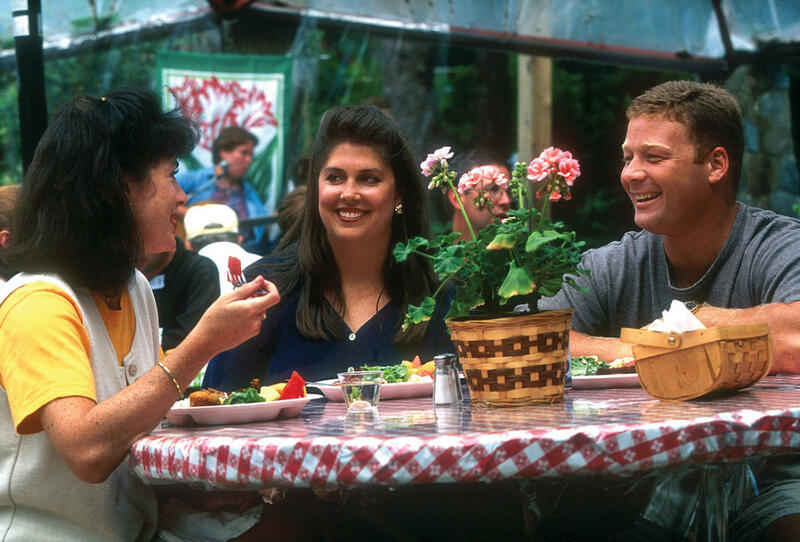 Savor an all-you-can-eat adventure, in a unique outdoor environment you’ll find nowhere else. Arrive at a beautiful setting, in lush rain forest alongside a creek, under translucent domes that protect you from the elements, rain or shine. 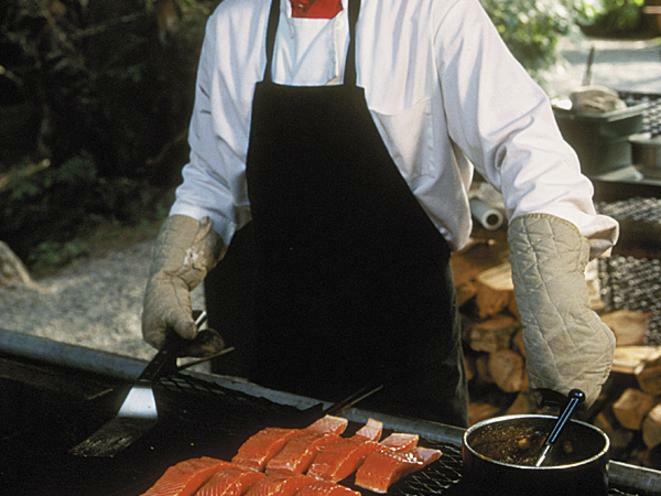 Savor the aroma of wild salmon, grilling slowly over fires of fragrant alder wood. 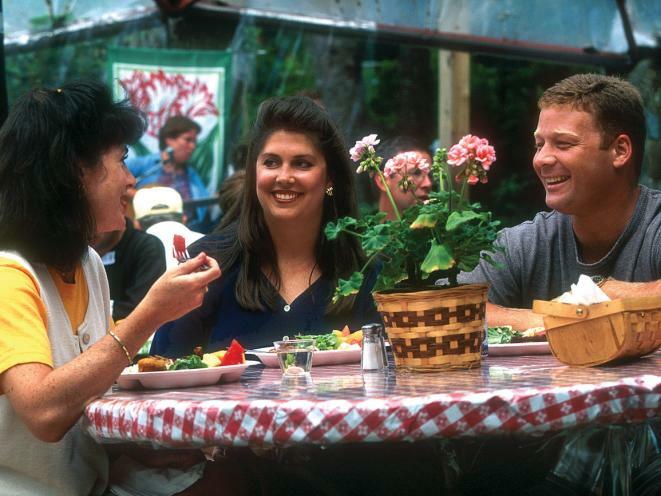 And settle in for a feast for all your senses! The sumptuous spread has something for everyone. Choose from grilled salmon, Cheechako Chicken, Chilkoot Baked Beans, Tongass Wild-Rice Pilaf, Gold Rush Potatoes and a robust selection of other sides, salads and beverages. Beer and wine are available for purchase, and vegetarians, take note — there’s plenty to tempt your palate! Come back for seconds, or thirds, while a local musician sets a festive mood. And, just when you think you’ve had enough — bring on the blueberry cake for dessert! After dinner, roast marshmallows over a campfire. 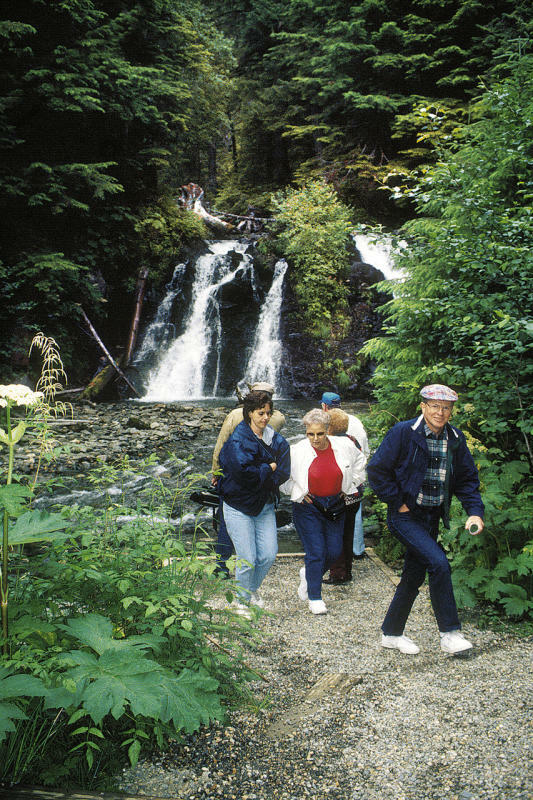 Stroll through the forest to lovely Salmon Creek waterfall. 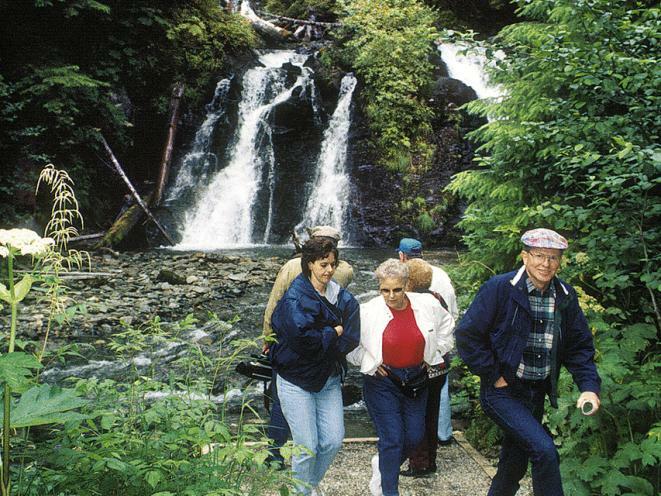 View the remains of the Wagner Mine and try your hand at panning for gold. Visit the trading post to purchase a souvenir gold pan or other memento. There’s plenty to do, and shuttle buses run regularly, so your visit can last as long as you like. Don’t return until your tastes have been satisfied — and you’re filled with great memories!